Posted on Wednesday, February 2nd, 2011 at 1:26 pm. Not content to merely experience hashcapades at Portland area restaurants, I thought I would share my potato hash escapades at Chez Clark – that’s right, my own personal Kitchen Stadium sans Alton Brown. To set the stage, I need to explain the genesis of this dish: MIX Magazine’s March 2010 article, “Sous vide smack-down.” In the article, Hank Sawtelle and Louisa Newman have a Shakespeare moment…To sous vide or not to sous vide, that is the question; whether ’tis nobler in the mind of chefs to cook in plastic, or to take up culinary arms & old-fashioned pots; and by opposing, end sous vide. Needless to say, I took Hank’s side and created it with my trusty SousVide Supreme machine. The trick to sous vide is understanding that the thickness of the meat being cooked determines the cooking time and, more importantly, that it’s non-linear. What this means to the math-challenged in practical terms is that twice the thickness means more than double the time. 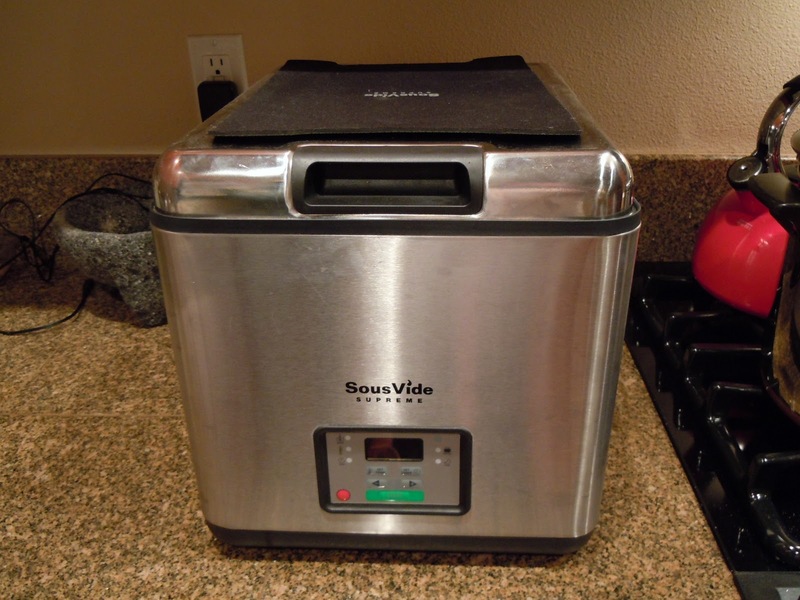 A particularly helpful source can be found in A Practical Guide to Sous Vide Cooking. I actually had the pre-book PDF with nerdy log charts and tables – heaven! 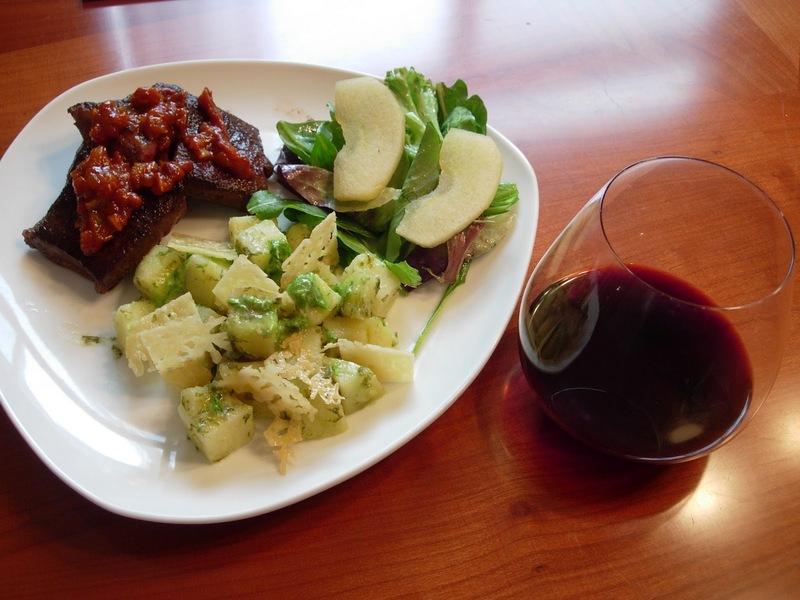 Back to the story, I followed Hank’s recipe from MIX above and tossed in a sous vide apple-based salad and vino – voila! 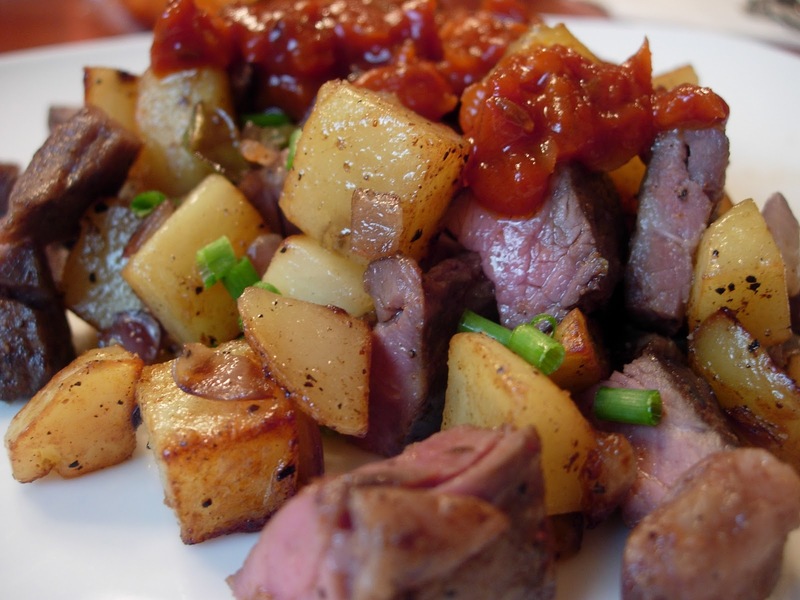 With the basic building blocks in place (this pursuit is not for the feint at heart), I launched into my hashcapade the following evening with a simple plan: transform the short ribs and chipotle sauce into a gourmet sous vide hash. Should I re-use the sous vide garlic potatoes? No, but I ought to open up a Fat Tire to relax, knowing that the hardest decision was behind me. The next steps were almost automatic: hash up the chives, new Yukon gold potatoes, some red onion and the short ribs and get cooking. The result was stupendous flavor – moist short rib cubes, thanks to the sous vide method, firm potatoes and a smokey, mouth-watering chipotle sauce. At this point, fellow hashcapade aficionados, I trust you’ve become extremely hungry and are ready to either a) buy a sous vide machine and begin your amazing journey, or b) settle for a hashcapade at 3 Degrees for immediate satisfaction of short rib hash. I highly recommend the former and have summarized the basic recipe below. Cory, we must go on a hashcapade this weekend. Would you be game?